Climate projections for Western Australia (WA) are that average annual temperature will increase by 1.1–2.7°C in a medium-emission scenario, and 2.6–5.1°C in a high-emission scenario by the end of the century. Annual rainfall in the south-west is projected to decline by 6% by 2030 and 12% by 2100 (median values) for a medium-emission scenario, and by 5% and 18%, respectively (median values) for a high-emission scenario. In the northern and central parts of WA, annual rainfall remains relatively unchanged. WA's climate is already highly variable. How will global warming affect Western Australia's climate? Climate projections for WA to the end of the twenty-first century are summarised from of the findings of the Indian Ocean Climate Initiative Western Australia Stage 3, and recent analyses by CSIRO and the Bureau of Meteorology. To make these projections, greenhouse gas emission scenarios are used with global climate models to estimate climate change. Emission scenarios are projections of how economic and technological developments may drive energy usage and greenhouse gas emissions into the future. Scenarios range from little of no growth in emissions, through to strong emissions growth. Global emissions so far have been on a high-emissions path. Climate modelling produces suites of climate projections for each emission scenario. Projections are usually presented as an average and a range of values for the short (2020–30), medium (2040–60) and long term (2070–2100), compared to conditions in the recent past. See Climate Change in Australia (external link) for more information on how projected climate is modelled. Confidence in the projections is estimated from the amount of agreement among climate models. annual rainfall declining in the south-west and remaining relatively unchanged in northern and central parts of WA. These changes will be superimposed on and increase WA’s already large natural climate variability. Consequently, the intensity and duration of hot spells is projected to increase across WA, wet years are likely to become less frequent and dry years (and drought) are likely to become more frequent. There is very high confidence in projections that average, maximum and minimum temperatures will continue to rise to the end of the century. Temperatures rise for all emission scenarios and are greater for higher emission scenarios. By 2030, mean annual temperature is projected to increase by 0.5–1.2°C under intermediate- and high-emission scenarios, compared to current conditions (the average of conditions between 1986 and 2005). By 2090, mean annual temperature is projected to increase by 1.1–2.1°C in an intermediate-emission scenario and 2.6–4.2°C in a high-emission scenario. Average maximum and minimum temperatures are projected to increase by similar amounts. There is little seasonal variation in projected temperature increase. By 2030, mean annual temperature is projected to increase by 0.6–1.3°C under intermediate- and high-emission scenarios, compared to current conditions. By 2090, mean annual temperature is projected to increase by 1.3–2.7°C in an intermediate-emission scenario and 2.8–5.1°C in a high-emission scenario. Average maximum and minimum temperatures are projected to increase by similar amounts to the average mean temperature. There is little seasonal variation in projected temperature increases. Temperature extremes are projected to increase in line with projected mean temperatures. The intensity of hot spells is projected to increase over most of WA: the frequency will generally increase in the southern half of the state and the duration will increase in northern coastal areas. Perth could see the average annual number of days with maxima over 35°C increase from 28 in the recent past (1971–2000 average) to 36 in 2030 and to 40 or 63 in 2090 for intermediate- or high-emission scenarios, respectively. In Broome, the number of days with maxima over 35°C is projected to increase from 56 currently to 87 in 2030 and to 133 or 231 in 2090 for intermediate- or high-emission scenarios, respectively. Frost frequency is expected to decrease as temperatures increase. For example, the incidence of frost in Perth is projected to decrease from the current average of 3.4 days per year to 2.1 days in 2030 and 0.9 days in 2090 under an intermediate-emission scenario. In agricultural areas, generally drier winter conditions and reduced cloudiness may cause frost risk to persist for longer than expected. Minimum temperatures in winter and spring are likely to increase 10–15% more slowly than mean temperatures because reduced cloud cover over southern Australia allows more heat loss at night. The drying trend in the south-west will continue as greenhouse gas concentrations increase according to the modelling. The projected changes differ a little from the observed changes in recent years. There may be an increase in synoptic systems bringing helpful rainfall to the northern and eastern grainbelt and south coast, but the projected drop in the number of deep low-pressure systems means much less rainfall for the west-coastal regions and far south-west. The overall increase in atmospheric pressure over southern WA will likely drive a shift to a more settled weather regime, with more highs persisting for longer. By 2030, mean rainfall will reduce by 6% in an intermediate-emission scenario compared to current conditions, and 5% in a high-emission scenario. By 2090, the mean rainfall will reduce by 12% (range 1–15%) in an intermediate-emission scenario compared to current conditions, and 18% (range 5–35%) in a high-emission scenario. Rainfall will decline by 29% in winter, and 36% in spring by 2090 in a high-emission scenario. By 2030, annual rainfall will decline by 1.5% for a high-emission scenario, with little change under an intermediate-emission scenario. By 2090, annual rainfall will decline by 2% for a high-emission scenario, with little change under an intermediate-emission scenario. 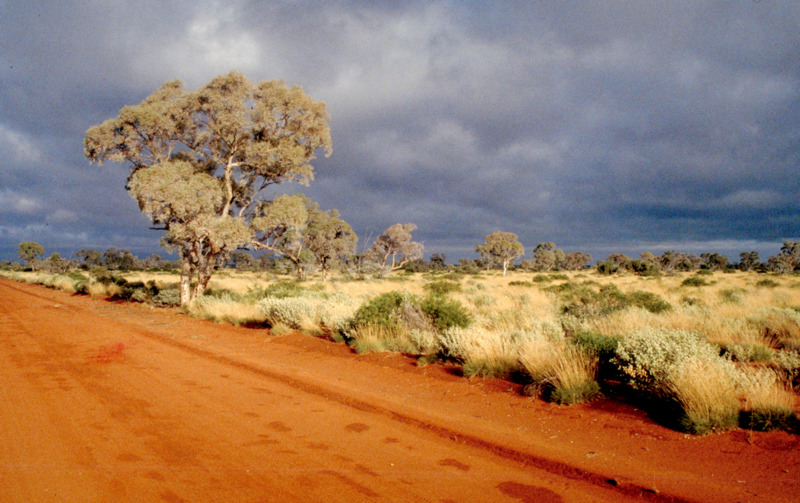 Rainfall will decrease in western areas of the Pilbara and increase in eastern areas. Changes in rainfall will be small compared to the current natural variability, and there is generally low confidence in projected rainfall changes. While the median rainfall will decline by 8–18% in the comparatively dry winter and spring months, unchanged or slightly increased rainfall during summer means that annual rainfall changes will be 1% or less for intermediate- and high–emission scenarios in 2090, compared to current conditions. There is medium to high confidence that the intensity of heavy rainfall events will increase, and low confidence in projections of the magnitude of the change. As the atmosphere warms, it can hold more water vapour, potentially leading to higher rainfall rates from weather systems. The mean maximum one day rainfall will increase by 6% in an intermediate-emission scenario, and 9% in 2090 for high-emission scenarios, compared to current conditions. The mean maximum one day rainfall will increase by 15% in an intermediate-emission scenario, and 20% for high-emission scenarios in 2090, compared to current conditions. The number of dry days is likely to increase over all of WA. Agricultural drought months (defined as a month of extremely low soil moisture) are projected to increase by up to 20% over most of Australia by 2030 and up to 80% in the south-west by 2070. The projected duration and frequency of droughts in the south-west increased for all emission scenarios, with a high level of confidence in these projections. One study found that there is greater than 66% probability that drought will affect twice as much of southern WA and/or twice as often by 2030. Drought can be expected to continue to be an occasional feature of the Kimberley climate, but there is low confidence in projections of how the frequency or duration may change. Projected climate change is expected to reduce streamflow into dams and groundwater recharge in western and south-western areas of the state. Surface water and groundwater resources are very sensitive to climate change and recharge is expected to be greatly reduced. Small changes in rainfall result in larger changes to water yield; for example, in catchments along the Darling Scarp, an 11% decline in rainfall results in a 31% decline in water yield. Projections are for median streamflow to decline by 24% by 2030 and 45% or 64% for intermediate- or high-emission scenarios in 2090. Aquifers are generally considered to be sensitive to climate change. The aquifer underlying the developing irrigation area south-east of Broome is considered to have low sensitivity to climate change. There is low confidence in projections of run-off. Surface water and aquifers in the Perth basin and aquifers in the Murchison and Gascoyne regions are very sensitive to climate change, and recharge is expected to be greatly reduced. This is expected to continue and possibly amplify observed trends in declining surface water and groundwater over southern WA. Increasing demand for fresh water in coastal areas, rising sea level and variations in rainfall recharge may result in increased incidence of seawater intrusion to coastal aquifers, which can significantly degrade water quality and reduce freshwater availability. The frequency of tropical cyclones may decrease by as much as 50% by 2090, with rainfall intensity increasing by 23% within 200km of the storm centre and by 33% within 300km of the storm centre. There is high confidence in projections that evaporative demand will initially decrease in southern and central parts of the state, then generally increase after 2030, with the greatest changes occurring in the far north and south. However, there is only medium confidence in the projected magnitude of the changes. 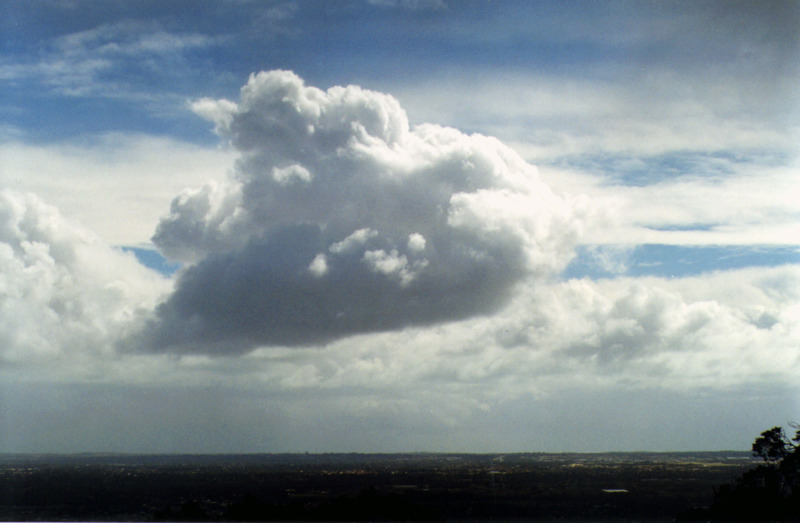 Evaporation is determined by weather conditions, with drier and warmer conditions leading to higher evaporation. By 2030, potential evaporation will increase by about 2.5%. By 2090, for potential evaporation to increase by 5.4% in an intermediate-emission scenario, and 10.3% in a high-emission scenario. By 2030, median annual evaporation will increase by 3.0% in an intermediate-emission scenario, and 3.4% in a high-emission scenario. By 2090, median annual evaporation will increase by 4.6% in an intermediate-emission scenario, and 6.5% in a high-emission scenario. It should be noted that a 3 to 4.6% change in evaporative demand in the high evaporative demand Pilbara environment is greater in absolute terms than a 10.3% increase in the lower evaporative demand environment of the south-west. By 2030, median annual evaporation will increase by 2.5% in an intermediate-emission scenario, and 3% in a high-emission scenario. By 2090, median annual evaporation will increase by 4.7% in an intermediate-emission scenario, and 5.1% in a high-emission scenario. Increases will be similar throughout the year relative to current conditions, but greatest during summer in absolute terms. By 2030, median annual evaporation will increase by 3.9% in an intermediate-emission scenario, and 3.1% in a high-emission scenario. By 2090, median annual evaporation will increase by 6.5% in an intermediate-emission scenario, and 12.4% in a high-emission scenario. Increases will be greatest during autumn and winter (when rainfall is projected to decline) and least in spring and summer. Projections are for relatively small changes in mean annual wind speed. There is high confidence that wind speed will decrease in winter (median –4.2%) and low confidence of an increase in summer (median 2.3%), with an annual change of less than 1% by 2090 for a high-emission scenario. There is medium to high confidence that there will be little change in wind speed in 2030 or 2090 under any emission scenario. Global warming is likely to increase fire frequency and severity. Weather conditions will be the greatest driver of altered fire risk with the contribution of fuel load and fuel dryness largely dependent on whether rainfall increases or decreases at a particular location. In the Kimberley, rainfall is projected to remain unchanged or even increase which means that fire risk may stay about the same. The greatest projected increases in severe fire days are in the Pilbara and northern rangelands (27 or 331% at Port Hedland and 50 or 517% at Carnarvon by 2090 for intermediate- or high-emission scenarios). The greatest increases in cumulative forest fire danger index are in the northern rangelands and southern coastal areas.